Unless you are a jeweler or a very experienced buyer, it is hard to tell apart the different diamond cuts. As you probably know there are a lot of methods and styles for working with diamonds and creating jewelry. However, some cuts are better than other and render impressive results. The cut is important when buying precious and semi precious stones jewelry. So, when buying diamond jewelry you need to be very careful in assessing its cut. Luckily for you, we know everything about jewelry and we have decided to teach you too. Read further to learn to distinguish between different diamond cuts. A diamond cut refers to the shape and facets of a gemstone. You need to remember these two elements when assessing different diamond cuts as they will be very important in determining the value of a gemstone. Now, this is where it can get a little bit confusing, but we are here to help. Two different diamond cuts can have the same shape, but it doesn’t mean they are one and the same. This is where the facets come into play. A princess and an emerald cut are both rectangular, so they have the same shape. However, they are different because of the configuration of the facets. Last, but not least, facets are particularly important to the brilliance of a diamond. They reflect light so it is only natural that they affect how much a certain gemstone will shine. For sure you have heard of many styles for cutting a diamond, but you should know that there are only two very different diamond cuts. All the existing styles are part of one category or the other. This is easy to remember as the two cuts have different purposes. The brilliant cuts, as the name suggests it, enhance the brilliance of a gemstone. This is their purpose and jewelry makers create facets that reflect the maximum amount of light. The step cuts, on the other hand, don’t have the purpose of enhancing brilliance. The facets are linear and follow a rectangular pattern. Before talking about the main different diamond cuts, let’s do a quick recap as this is new information for most of you. A diamond cut refers to the shape and facets of a stone. The shape is pretty self-explanatory, while the facets have the purpose to reflect light and enhance brilliance. 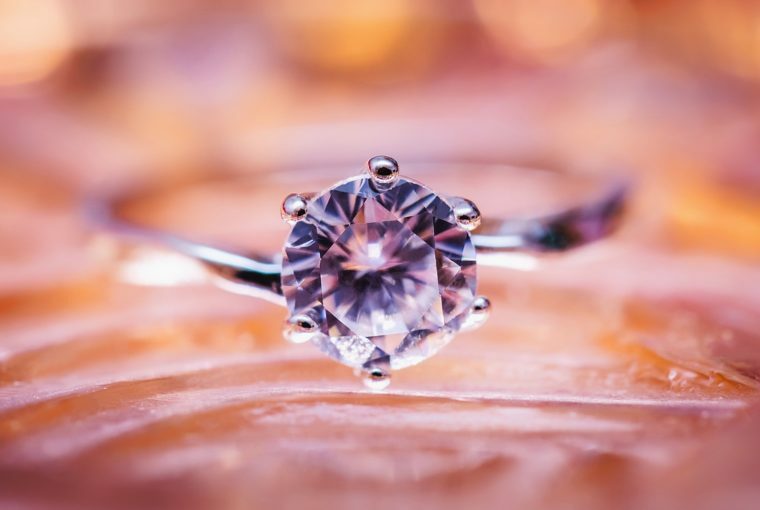 As a result, there are two big groups of diamond cuts – the ones that focus on the brilliance and the ones that focus on other attributes, like shape and durability. And now that things are a little bit clearer, let’s take a look at the main different diamond cuts. This is by far the most popular cut and you will see in many places. It features 57 or 58 facets and is part of the brilliant cuts group. The princess cut is very typical and features four sharp corners, being part of the brilliant cuts group. The radiant cut is similar to the princess one except that the corners are truncated as opposed to sharp. The emerald cut can look like a radiant cut, but the facets are different and it is part of the step cuts group. The cushion cut means that the diamond has a rectangular profile, but the corners are rounded. There is only one triangular diamond cut, but people usually call it “trillion” or “trilliant”. It is one of the most known diamond cuts and it usually has sharp corners. Of course, with a trillion cut, the stone can also have rounded corners. As you can imagine, with so many different diamond cuts, there is some debate between brilliant cuts vs step cuts. A recent study shows that 9 out of 10 diamond cuts are brilliant. Of course, everybody wants more brilliance, but step cuts can also offer some great advantages – they look great on vintage and vintage-style jewelry, and they can be fairer priced. It is up to you to decide what style suits you the best. To view our unique jewelry collections, visit Ana Luisa online jewelry shop.